We can offer you a wide variety of services to meet your company needs, whether you are a sole trader or employ 50 we can bring you in line with legislation and legal requirements. We are now able to deliver Face Fit Testing to Fit2Fit Standards by our in house tester. 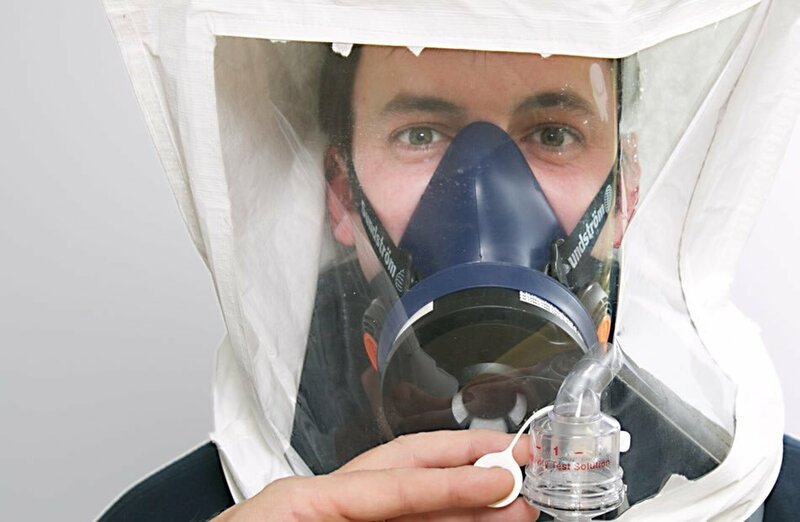 This service is becoming more and more requested as under RPE Legislation and COSHH Regulations it is mandatory for all operatives and staff that work in an environment where they need to wear face masks they must have a face fit assessment. We are very competetively priced and start for individual tests start at £30-00 per candidate at our Barnsley office or a negotiated price if you require tests to be carried out at your premises or on site locations. Call for a full breakdown of costs on 07747086142. We can assist you with your CHAS application and supply the required paperwork if you don’t have any in place. We can work with you if you are a Sole Trader or employ less than 5 through to Principal Contractor applications. Contact us for further information. We can develop your Health & Safety requirements and maintain the systems that you are legally required to have in place for your company. We have a sliding pricing scale and promise that our prices are very competitive if not the cheapest you can find without losing out on quality that we provide. We can provide you with all your policy and procedural requirements that you may be asked to provide by Principal contractors or procurement services. Our Policies are continually update and follow any legislative changes that may arise. We are able to monitor and maintain your Health & Safety systems should you require this service. We supply this service with all our annual retainment contracts and this comprises of a full systems check and updates where required. We are a fully licensed training provider of Driver CPC Training. We offer a wide variety of training courses to bring your staff in line with the 35 hours of periodic training that is mandatory throughout the Uk and European requirements even after Brexit takes place. This area is reserved for information videos that we constantly develop to advertise our expansive services list. We are a Barnsley based company that has a office suite and a wide variety of training suites.